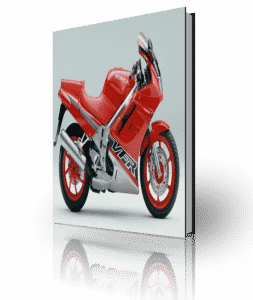 This Honda VFR750F Workshop Manual is PDF format and is compatible with most operating systems including Microsoft Windows, Apple and Linux. The manual has over 300 pages of detailed pictures and text that can get your VFR750F back on the road. The manual covers years 1990, 1991 ,1992 ,1993, 1994, 1995 & 1996. This manual has exploded diagrams for parts, comprehensive technical specifications, detailed images, parts information such as identifiers, special tool requirements and so on, comprehensive torque setting values, electrical system information and wiring maintenance schedules and so much more. Instantly download this fully comprehensive PDF version of the Honda VFR750F Workshop Manual.